It is lightweight and it does not become fogy even when working with a mask, and adjustment is effective so that it fits the face. This review is about item#39572915. Adjustment is possible and fitted feeling is good. I do not feel the fatigue of the eyes almost. Since it is hard to scratch the surface, it is safe to remove it. It is useful. It is easy to hang with a fashionable touch. The price is also very satisfied with COSPA. I work for a concrete product manufacturing company. I do polishing work of the finish of the product, but I always patronize it because I enter something in my eyes. I bought this product because I thought that the protective eyeglasses I used had been broken so I thought it was awesome at this opportunity. I like it very much. Easy to use, I liked it very much. I think I want to purchase additional. Used for cutting work of welded part etc. I am using it with extreme peace of mind whether the standard is solid. It is nothing more than being safe from relieving eye fatigue while keeping it safe. And with this quality ... is it high? No this price! I am very satisfied. ((Haha)) ♪ It is already the second one. From now on too! Although it is two eyes, since it covers up to the side, feeling of use is good. It is very fashionable and easy to see.I want to buy it again. Because it is a little expensive in price, I hand it to directly operated workers. 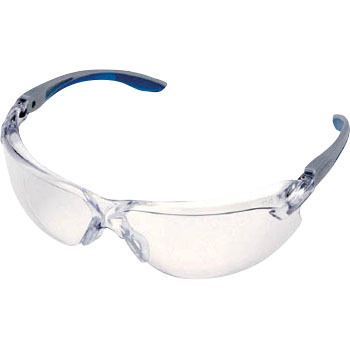 I hope it will be a little cheaper, but this protective eyewear has less distortion and the reputation from workers is good. Overall construction is also good and light, so comfortable to wear, but the lens is slightly distorted, so feeling worse when wearing for a long time. It is difficult to cloud and angle · change, very good. It is an ironworks office, but the place of blue is also nice.